"Hi, I’m Lisa, and I’m the dreamer behind Tartan Weddings!" The owl’s expansive wings swept through the open castle windows like wind that drifts through a bouquet of purple thistles. 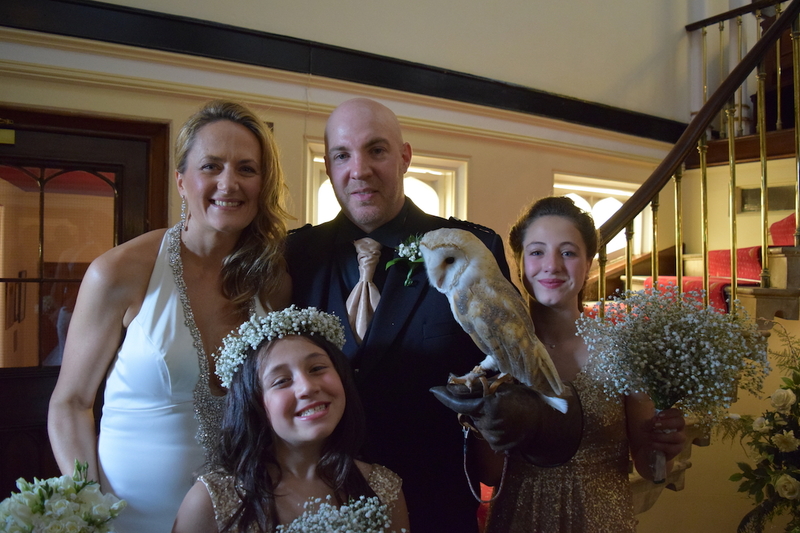 As he fluttered his wings, the owl slowly glided on to the hand of Lisa’s fiance. The owl was carrying beautiful gold rings; to be presented to Lisa’s daughters. 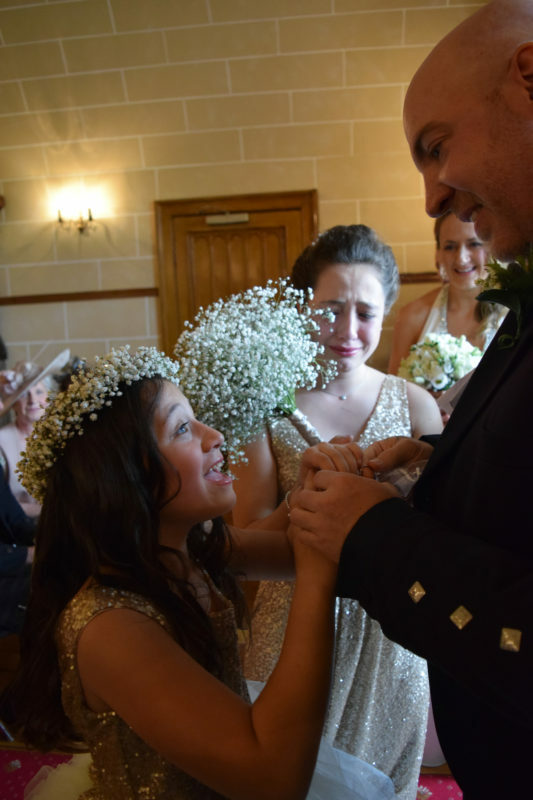 This wasn’t a page out of a fairytale, this was Lisa Bauer’s wedding, in her native Scotland, something she had dreamed of for years. Lisa wanted her second wedding to be special, something that her guests would talk about for years to come. Born in Glasgow, Lisa knew she wanted to go home to celebrate. 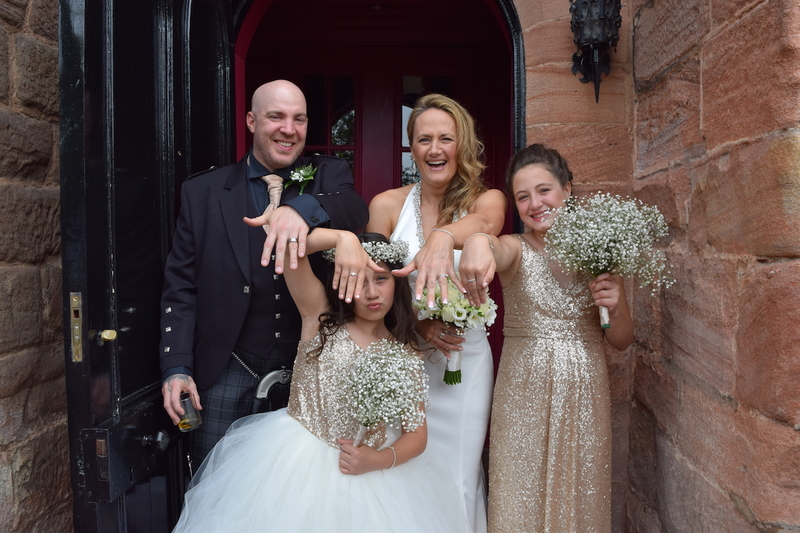 As she began to sort out the details, Lisa realized access to bridal options in Scotland were numerous and more affordable than your typical NYC wedding. There were lavish castles across the countryside that welcomed bridal parties from all over the world and offered innovative Scottish traditions as part of the ceremony. When Lisa’s friends heard about her upcoming nuptials, they were open to the idea of traveling to Scotland. Her family and friends were shocked to learn the cost of the wedding was reasonable compared to similar weddings in the United States. As an experienced event planner, Lisa recognized the niche of helping other couples achieve their fantasy wedding abroad. Tartan Weddings is a provocative take on typical event planning; enabling clients to experience an over-the-top experience that won’t break the bank. Lisa’s ties to her native country gives her the knowledge to guide couples with well respected and traditional wedding vendors, including numerous castles across the country. She takes a deeply personal approach with her clients by listening to their visions and guides them through all aspects of the wedding planning process from finding the perfect venue to helping couples and their guests ascertain visas. She brings her knowledge of Scottish wedding customs and traditions to the company; offering the bride and groom an authentic experience. Shortly after her wedding in the Spring of 2018, Lisa realized she could offer the same wonderful experience to others and so Tartan Weddings was born. After 15 years of planning other people’s special events, Lisa is thrilled to announce the launch of her own company, Tartan Weddings. Lisa adds, “Tartan Weddings is a chance for couples to design their own wedding without breaking the bank. It’s the best of both worlds, incorporating old school traditions with modern style and elegance. It doesn’t matter whether you’re Scottish or not, Tartan Weddings is an exceptional take on a custom that will never go out of style! Tartan! I love all things Scottish. I have a soft spot for Highland cows, kilts, and bagpipes! Badminton, which IS a sport, no matter what my husband says! A good gin and tonic with Haggis. Don’t knock it ‘Til you try it! My wedding day was everything we ever wanted – a castle wedding with unique twists at every turn. We were able feel like royalty in our very own castle for the day and share with our closest friends. Some of my favorite moments include my husband and daughter performing Hallelujah and the owl flying into the chapel with rings. There was not a dry eye in the castle! A super personal yet neat touch was hiring a 90’s rock cover band for our reception. It was so much fun to watch our guests jam out to our favorite tunes. The day was truly ours! Our wedding has inspired me to connect with couples to help them to create similar wedding experiences. I want them to enjoy their special day in Scotland since it is one of the most beautiful places on earth and to know they can afford this experience. I will work my hardest to make their vision a reality.